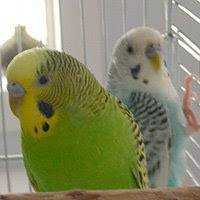 I know someone who rescues birds and these little guys were being thrown away by their owner. I felt bad for them and took them in. I hope they enjoy hanging out with us.